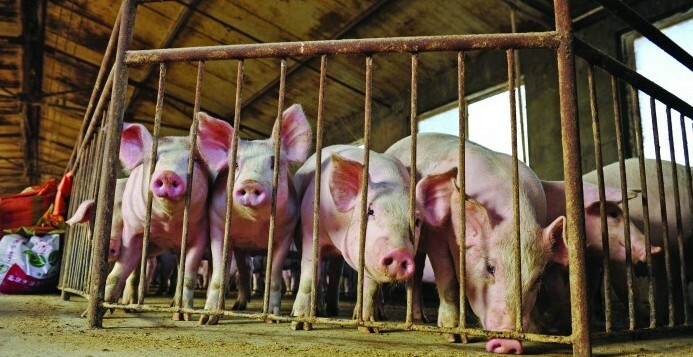 China is bracing itself for further African swine fever (ASF) outbreaks, while there are also fears the virus could spread to neighbouring countries. So far, in efforts to control the spread of the disease, Chinese authorities have culled more than 24,000 pigs in four provinces, following confirmation of four cases so far in August. China accounts for approximately half the global pig population, estimated at 500 million, incorporating a wide range of producers from small family holdings to large-scale commercial operators. The country’s agriculture ministry has said it cannot rule out the possibility of new outbreaks. The risk of African swine fever transmission from neighboring countries remains large, it said, according to an Asian news channel. The ministry acknowledged that it is not clear how widely the disease has spread, and that there is much uncertainty over how the situation will develop. In a statement on its website, the ministry pointed out that ASF is not a zoonotic disease. It warned pig producers to ‘stop pig transportation from infected areas, pay attention to daily disinfection, keep pigs in closed zones and take isolative protection measures’. “Meanwhile, pigs should be kept away from wild boars and ornithodoros papillipes and pig farmers are prohibited from feeding pig with swill and food wastes without high-temperature treatment,” the statement added, urging farmers to report unexplained death with ASF symptoms ‘in a timely manner’. The ministry said emergency measures taken in response to the first outbreak, detected in Shenyang, in the Liaoning Province on August 3, ensure that ‘at present, the epidemic has been effectively controlled’. A total of 47 pigs out of 383 on the farm died. However, the virus has also been detected in other parts of the country, with infected pigs known to have travelled long distances to abattoirs. China announced its fourth case last week in the province of Zhejiang, four days after it was reported in neighboring Jiangsu, which is more than 1,000 kilometres from the initial outbreak. The United Nations Food and Agriculture Organization (FAO) has warned that the rapid onset of ASF in China and its detection in areas so far apart could mean ‘the deadly pig virus may spread to other Asian countries anytime’. It fears that the disease will cross to neighbouring countries of Southeast Asia or the Korean Peninsula where trade and consumption of pork products is also high. There is no effective vaccine to protect swine from the disease. And, while the disease poses no direct threat to human health, outbreaks can be devastating with the most virulent forms lethal in 100 per cent of infected animals, the FAO said. The ASF virus is very hardy and can survive long periods in very cold and very hot weather, and even in dried or cured pork products. The strain detected in China is similar to one that infected pigs in eastern Russia in 2017 but, so far, and while the investigations continue, the China Animal Health and Epidemiology Center has found no conclusive evidence of this latest outbreak’s source or linkages. “The movement of pig products can spread diseases quickly and, as in this case of ASF, it’s likely that the movement of such products, rather than live pigs, has caused the spread of the virus to other parts of China,” said Juan Lubroth, FAO’s Chief Veterinarian. Wantanee Kalpravidh, FAO’s Emergency Centre for Transboundary Animal Diseases (ECTAD) regional coordinator said the immediate response to this outbreak will be to stamp it out as quickly as possible, Kalpravidh added. However, a complete restriction in the movement of animal and pork products could undermine those efforts, he warned, as it could lead to illegal methods of transportation.